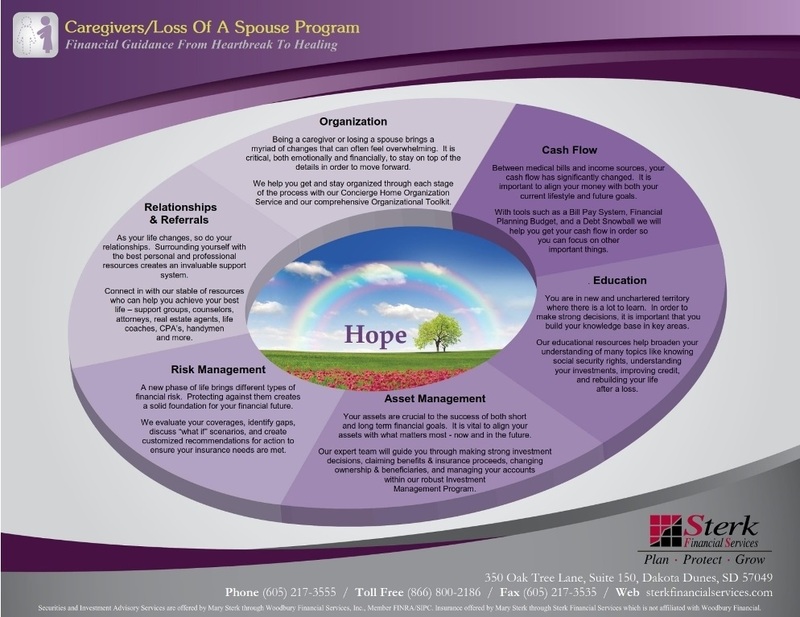 Both caring for an ailing loved one and losing a beloved spouse are difficult emotional times. We can help. 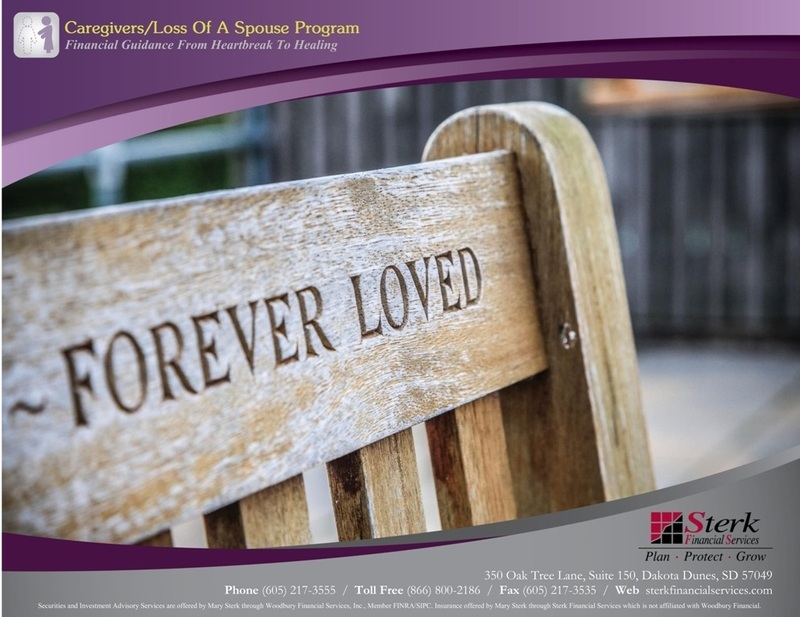 Our specialized financial planning program for caregivers and people who have lost a spouse is centered around providing guidance as you take over handling the finances on your own. We provide compassionate and professional advice on how to get organized, efficiently handle day to day finances, and feel confident that your investments and insurances are in order. Let us show you strategies to build a strong set of resources to help manage your financial well-being, honor your loved ones legacy, and align your finances with what matters most – both now and in the future. Our goal is simple – to help you move through a challenging transition and towards the best life possible. We will help you design a logical and thoughtful strategy amidst a difficult time so that you can create a future full of hope and stability. Call us to learn how we take the complexity and uncertainty out of this life change, and help create clarity and confidence as you move forward.